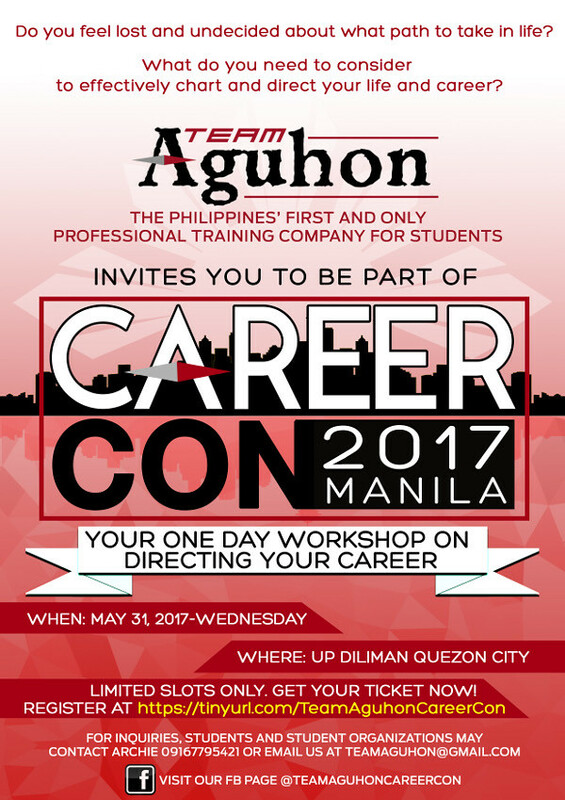 TEAM AGUHON, THE PHILIPPINES’ FIRST AND ONLY PROFESSIONAL TRAINING COMPANY FOR STUDENTS, is launching the very first CAREERCON for college students – a one-day intensive workshop on the best mindsets, popular misconceptions, and relevant considerations you need to effectively chart and direct your career and life. 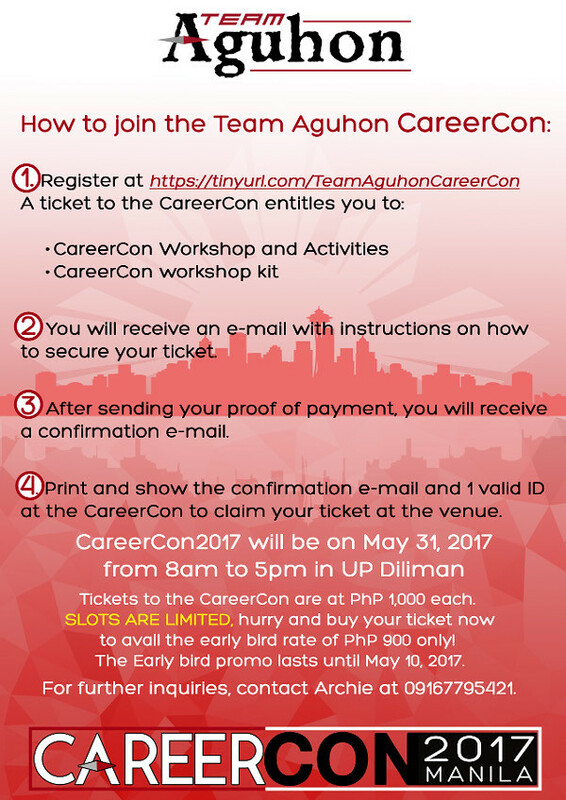 If you’re interested or know anyone who might be interested in attending, the details for TEAM AGUHON’s CAREERCON are below. Since I posted this just today, May 11th, guess the early bird promo no longer applies? For clarifications and other questions regarding the event, please contact TEAM AGUHON through the number above.